Glasgow Botanical Gardens – Happy Birthday! Leave a comment on Glasgow Botanical Gardens – Happy Birthday! 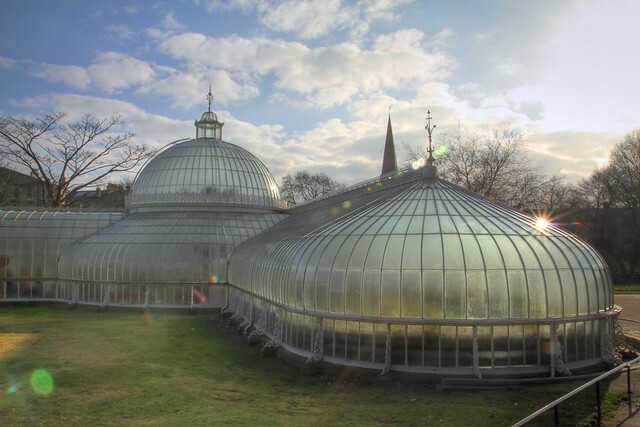 Glasgow Botanic Gardens is turning 200 years old! It certainly looks like they had a fabulous day for it (their Twitter feed has some video and pictures). On a day like today is supposed to be here in California, we’d probably not have visited the Botanics, as they tend to be much warmer inside than out. In Glasgow’s fog and dreich, though, we’ve loved being inside, looking at all the flowers and statuary.